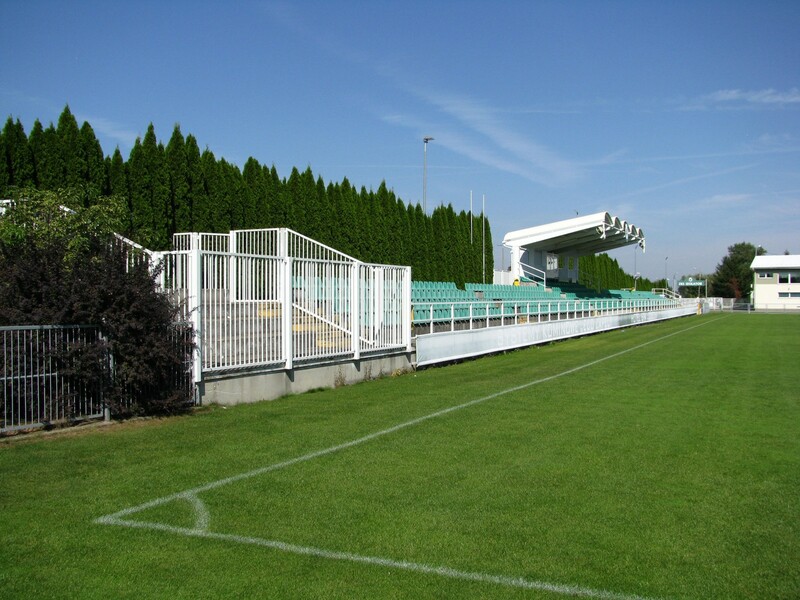 Sitting on the verge of industrial and residential parts of Boguchwała, just outside Rzeszów, this picturesque stadium was opened officially in 2007. 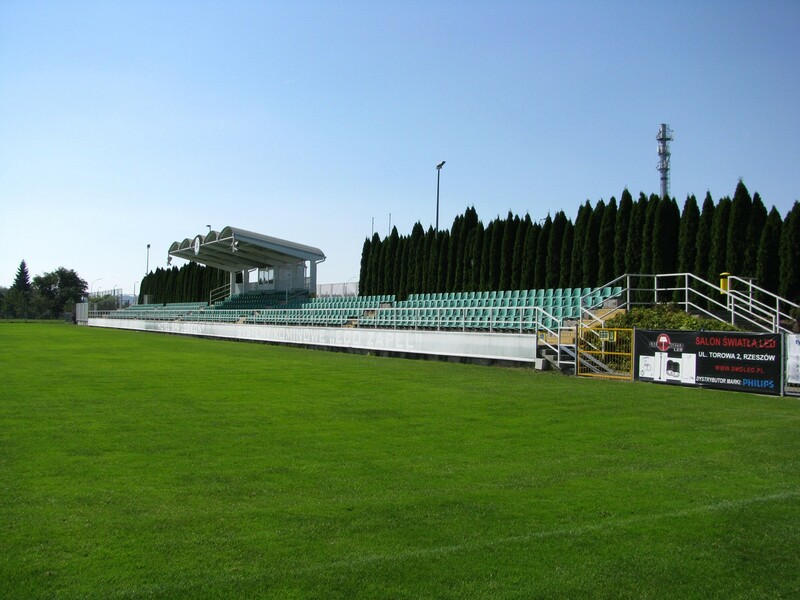 Though its capacity of roughly 1,000 seats was never impressive, it instantly became one of the most modern facilities in the then underdeveloped region of Subcarpathia. 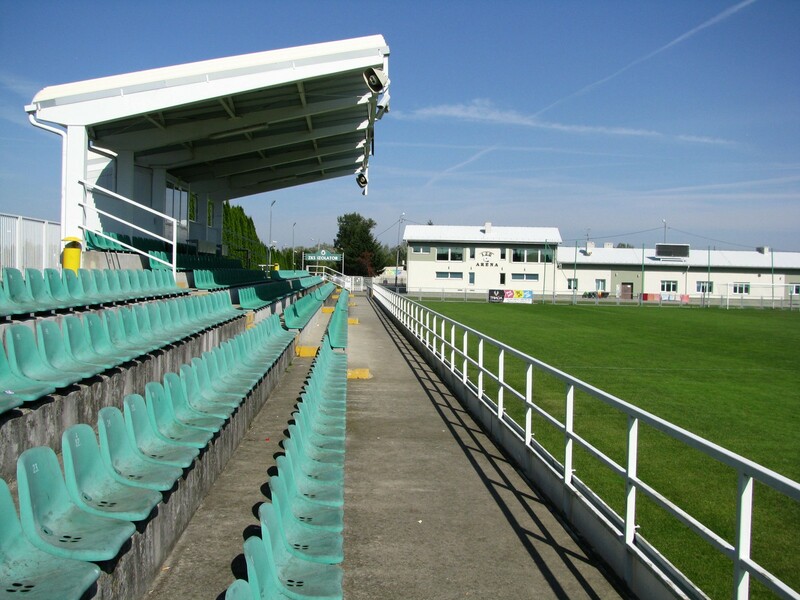 It should be remembered, however, that the story of football in this location doesn't start that late. 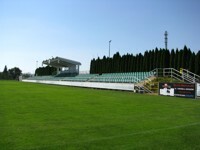 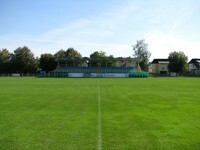 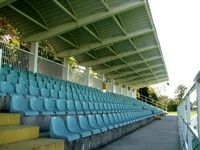 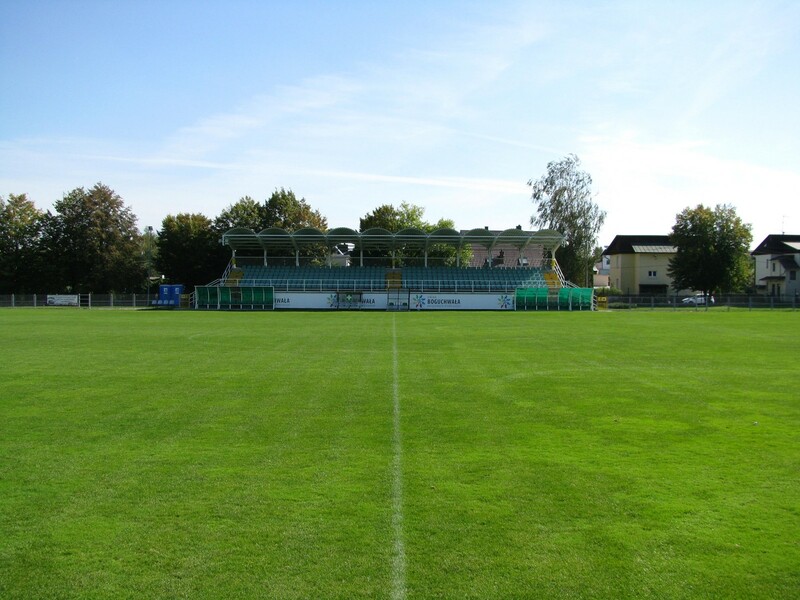 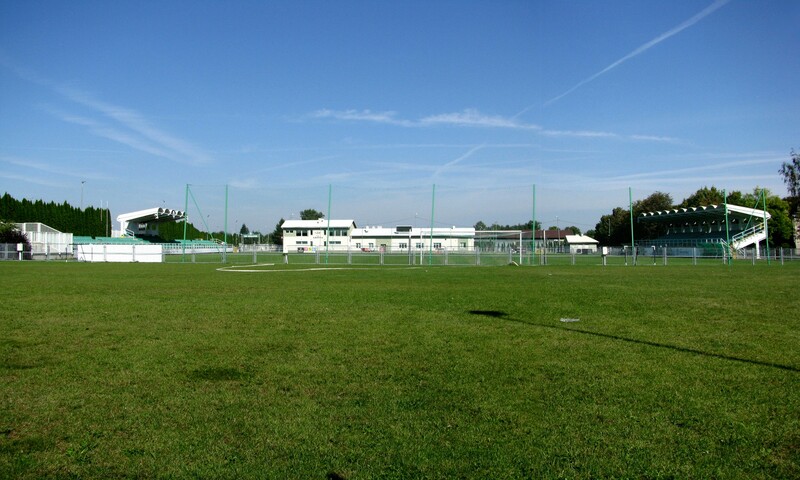 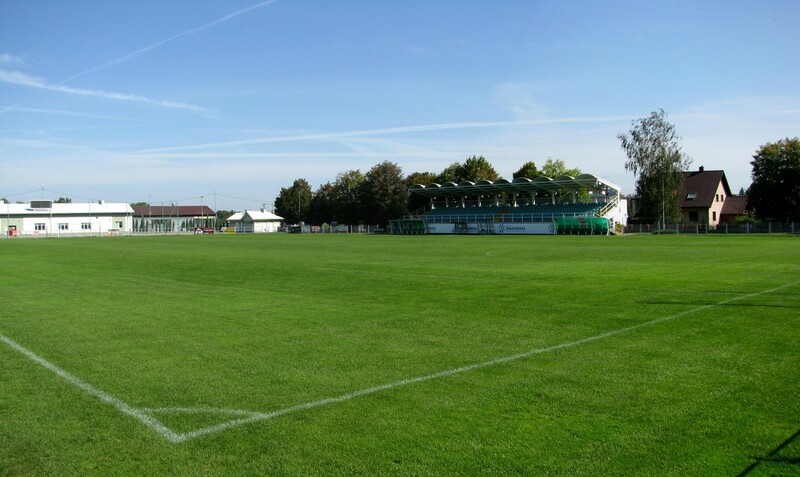 The field was used since late 1940s by the traditional local club Izolator, only receiving complete reconstruction in 2007. 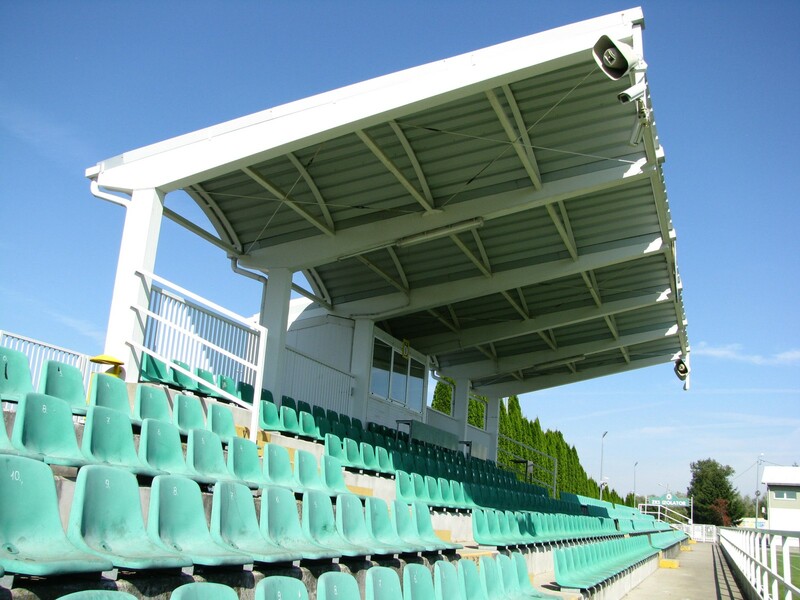 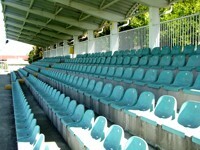 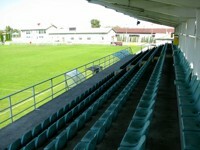 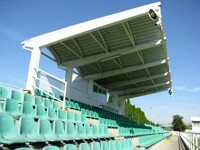 The stadium offers two grandstands: main one in the west, with 604 seats (158 of which are covered), and smaller east stand, able to hold as many as 339 covered spectators. 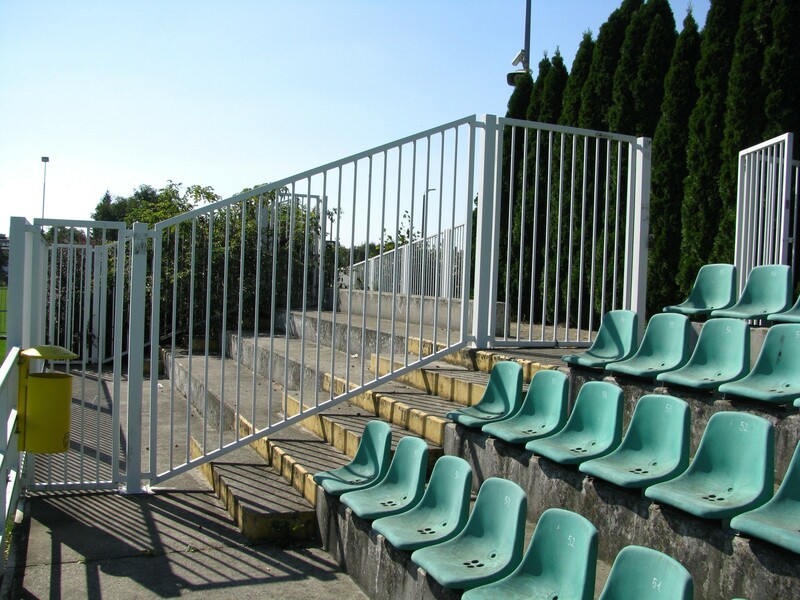 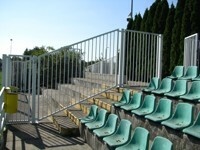 Thanks to both stands being elevated they offer very decent sightlines during games. 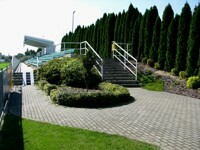 The arena is enclosed by a sufficient administrative building, while generous plantings make it feel quite cosy despite mediocre surroundings. 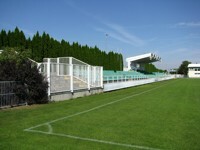 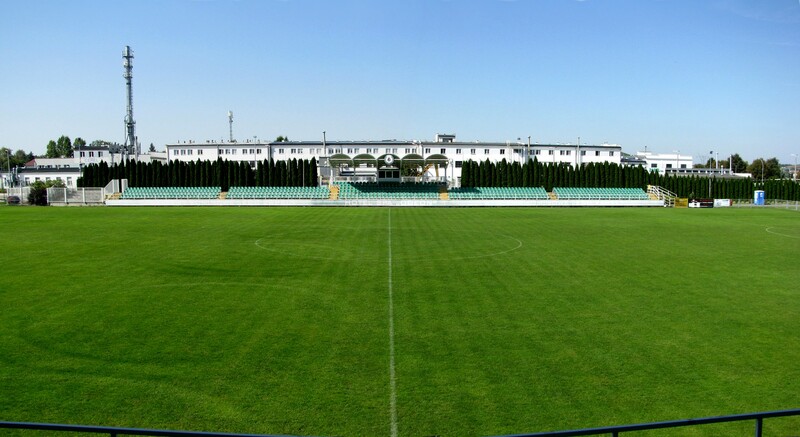 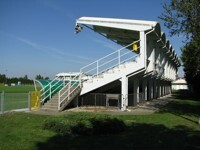 Until 2014 the stadium was entirely owned by Izolator, which represented one of few private exceptions in modern Poland, however it was eventually taken over by local authorities in an effort to secure funding for the team's operation. 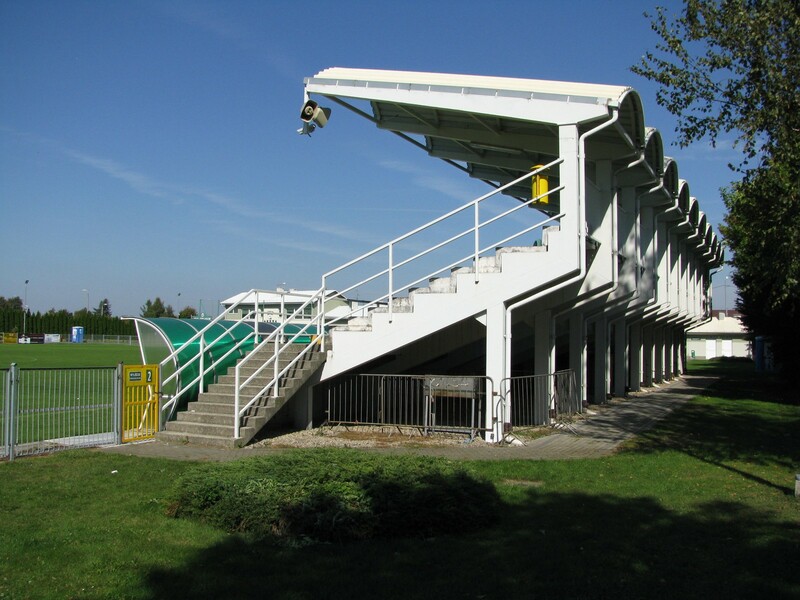 Thanks to its standard it was temporarily used as home to major regional teams, to mention just Resovia and Stal Stalowa Wola.